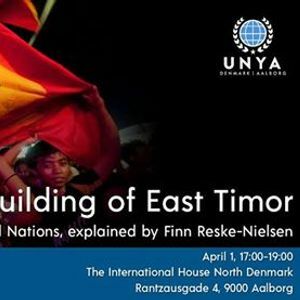 We are very happy to announce that on April 1st, Finn Reske-Nielsen will come to UNYA and tell us about his experiences in the state-building and peace-keeping process in the country of East Timor. Hereby, he will put a focus on the role of the UN in this process, which difficulties the UN mission encountered and the success of the mission. After the lecture, we will have time for a Q&A session and discussion. 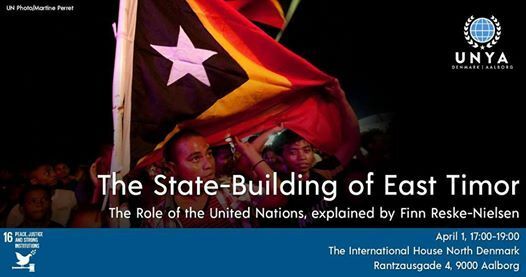 Finn worked for the UN for more than 30 years and was UN Resident Coordinator, UNDP Resident Representative in East Timor and Special Representative of the Secretary-General for East Timor. 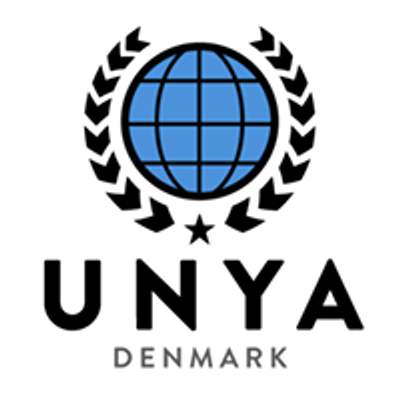 Today he is the head of the United Nations Association North Jutland. This event is focusing on the Sustainable Development Goal (SDG) No 16: Peace, Justice and Strong Institutions.